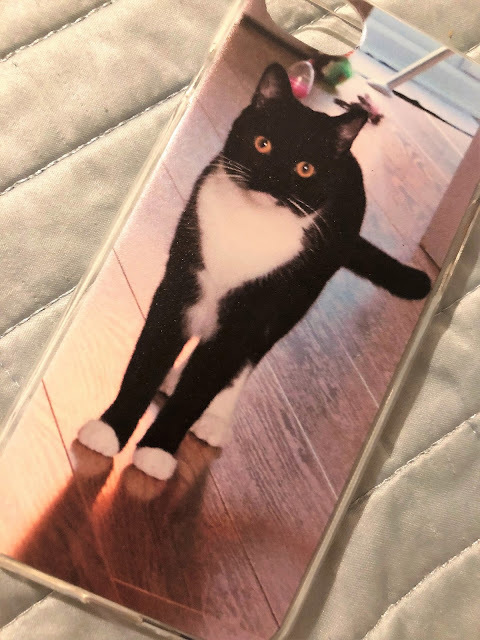 One of the things I was most gutted about when I sold my Android phone and made the switch to an iPhone 8 was no longer being able to use my customised phone case. 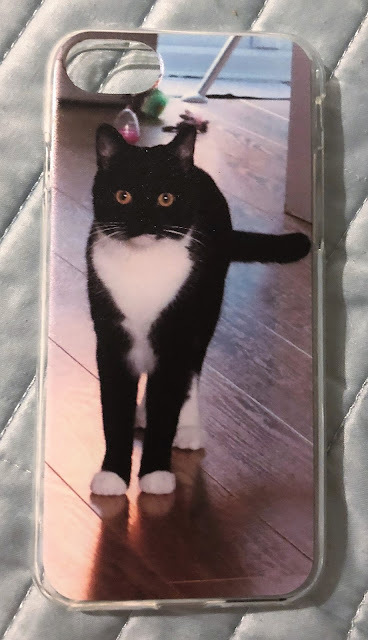 I loved flipping my phone over and seeing my little furbaby on the back all the time. It felt like I was carrying him everywhere with me. So I really missed my phone case when it was gone. 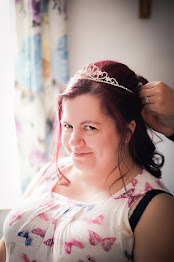 Then I was offered the chance to review a personalised phone case* from Go Customised, and I knew instantly how I'd be personalising the case! I was a little overwhelmed by all the choice Go Customised offer. From iPhone cases to iPad cases, Huawei cases to Samsung cases. Go Customised cater for all! When you've chosen your phone model, you then have another big decision to make. What type of case do you want? You can choose from; hard case, soft case, wallet case, bamboo case, flip case, hard case 3D, and a leather case (for an iPhone). With those decisions made, the hard part is (mostly) behind you. Now comes the really funny part, as you get to design your own phone case! From choosing the colour of your case, to adding your chosen photo (or photos) and selecting your layout. All the options are there for you to really customise your phone case, and make it unique to you. You can even choose to add text and effects, if you so desire! I opted for the exact same photo as I had on my previous personalised phone case because. Well, because Harley looks especially dashing in this photo. I played around with design options for ages, though; adding more photos for a collage effect. In the end, I kept it simple with just the one photo. But I can definitely see myself getting more personalised phone cases from Go Customised with some other photos of my beautiful Harley on! Delivery was really quick, and my phone case was well packaged to keep it safe in transit. I couldn't help but chuckle when I opened the parcel to see Harley's eye peeping out through the hole in the envelope! I think the prices at Go Customised are very reasonable, especially considering the choice and options they offer you to design your perfect phone case. I chose an iPhone 8 Soft Case, which costs £14.99, and shipping is only £2.99**. 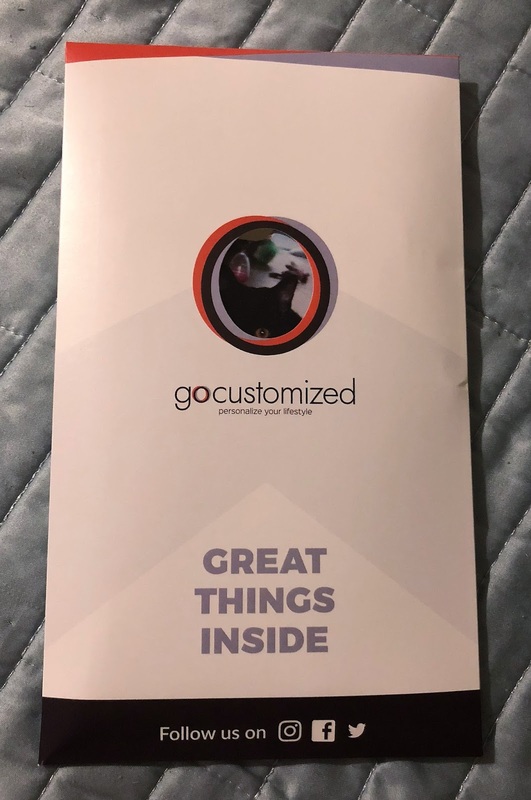 I was really impressed with the products Go Customized have on offer, and the service I received from them. Highly recommend for all your phone/tablet case needs! Do you have a customised phone case? *Product was sent to me in exchange for a review. All words and opinions are my own. **Shipping cost based on shipping to the UK, standard delivery taking 4-6 days. I haven't found a company before that have so many different types of phone case to customise - I love having funky designs on my cases, but they rarely protect my phone. 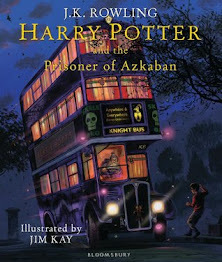 This sounds fab!